Corporate social responsibility (CSR) has become an increasingly significant managerial concept, yet the manager as an agent of corporate bureaucracy has been substantially missing from both the analytical and conceptual literature dealing with CSR. This article, which is both interpretative in nature and specific in reference to the U.K. cultural context, represents an attempt at addressing this lacuna by utilising qualitative data to explore the perceptions of managers working in corporations with developed CSR programmes. 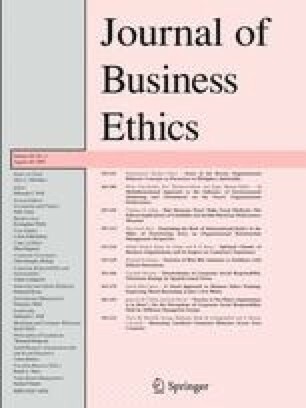 Exploring managerial perceptions of motives for CSR initiatives, methods of stakeholder engagement, organisational integration of CSR and its impact on managerial work, this study concludes that an instrumental approach dominates, which indicates an external–internal organisational paradox in the design and execution of CSR initiatives. 1.School of Business and EconomicsUniversity of EdinburghEdinburghU.K. 2.Royal Holloway CollegeUniversity of LondonLondonU.K.